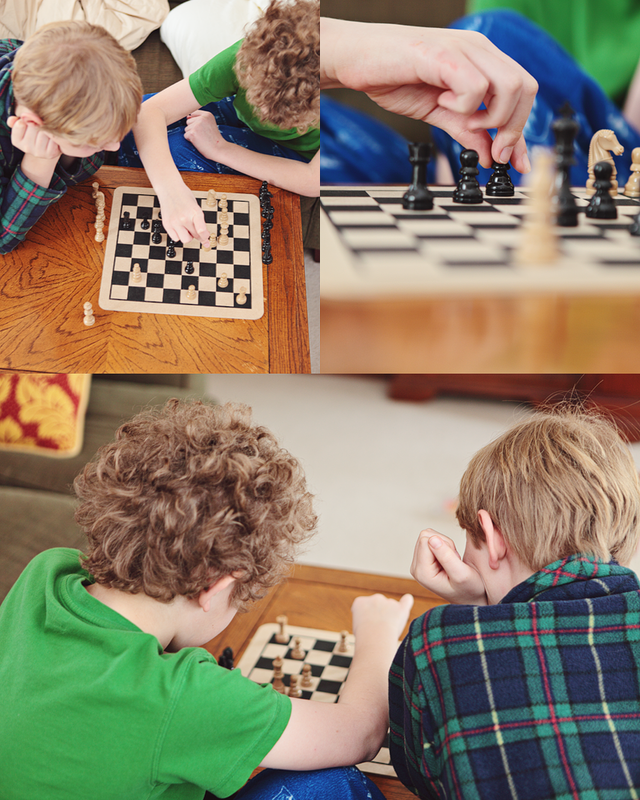 My boys have taken to playing chess again, and this time - with each other. It has been every day for a while, and it makes my heart happy to watch them. And, yes. Those are Duke PJ pants on my youngest. Go Devils!